Cape Town - Curwin Bosch will not be considered for the Sharks’ Currie Cup clash against the Free State Cheetahs in Durban on Saturday. Bosch was on Tuesday released from the Springbok squad as coach Allister Coetzee named his touring party for the trip to Australasia. Handre Pollard was considered as flyhalf cover, with Bosch sent back to the Sharks to get game time in the Currie Cup. However, the youngster will only come into the reckoning for the Sharks’ game against the Pumas in Nelspruit on September 8. “Curwin wasn’t at the Monday and Tuesday practices, so he won’t be considered for this weekend. He’ll definitely be considered next week,” a Sharks spokesperson told Netwerk24. Coetzee on Tuesday said he expected the 20-year-old Bosch to play many Tests for the Boks in future. "We'll have to manage him correctly. He'll play for the Springboks for a very long time. He's done well. I would like to see the confidence that he now takes back to the Sharks,” Coetzee said at Cape Town International Airport after arriving back from Argentina. "In the couple of weeks he's been with the Springboks, you can see confidence oozing out of him. I'm pleased with the youngster. 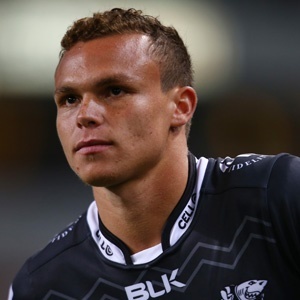 If there is an injury, I won't have any trouble selecting Curwin Bosch again."